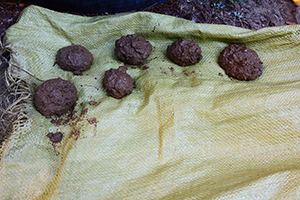 This three-part workshop covers the importance of Guerilla Gardening in urban spaces, how to make seed-bombs, and a hands-on gardening project. In conjunction with the Franchise Exhibition Illegal Kosmonavtika. 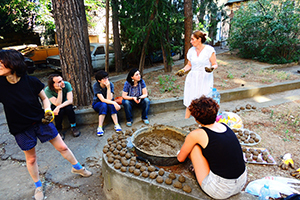 Nata Peradze introduces the "Guerrilla Gardening, Tbilisi" movement and its most topical projects, followed by a hands-on demonstration in which participants learn how to produce seed bombs and where and how they need to be thrown. 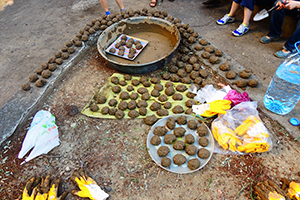 Participants will make their own seed bombs for future use throughout the city. 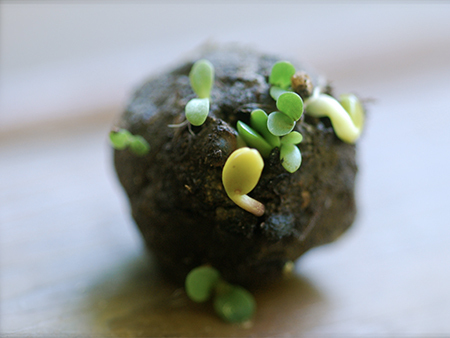 Following the seed-bomb workshop, participants will do some Guerilla Gardening by planting flowers in a small garden around the observatory. Nata Peradze is a social and environmental activist, and founding member of Guerrilla Gardening, Tbilisi. In 2010 she founded Green School Zahesi, a school providing environmental and botanical education for children, and from 2008-2009 she was the General Manager of Green Service LTD, focusing on Landscape and City Park Design, Planting, and Maintenance. From 2000-2010 she was the Founder of the Planta LTD, where she grew and sold plants. 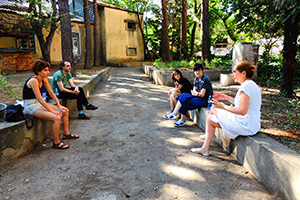 Peradze is also an occasional graphic designer for Studio 1,2,3 and Inter-S magazine, also she was a restoration specialist in the Georgian State Museum of Arts, Tbilisi Artist's House, and Georgian State Institute of Monument Preservation.